Given it is tax season; we wanted to start your day with a story about tax-related issues. Last week, we saw in the news that details had emerged that the Swiss private banking arm of HSBC may have aided clients in evading taxes. 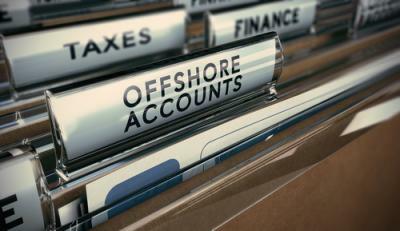 Allegations indicate the bank promised they would not disclose information to international tax authorities. Beyond that the bank reportedly may have even discussed options with clients on how to avoid paying taxes. The bank's client list for such "services" reportedly included global politicians, rock stars and others. This all came to light, according to the press reports, when an employee turned over documents to French authorities. That person now faces criminal charges in Switzerland for breaching bank secrecy laws. In the meantime, tax authorities in numerous countries are actively involved, searching through records in an effort to recover back taxes and penalties they may be owed. There are people who go to great lengths to avoid paying taxes of any sort. Luckily, the methods these people employ generally do not come across the desks of community bankers. That said, even in community banks there have been reported instances of small business owners seeking to open accounts for complicated trust structures created by outside advisors. These accounts may be harmless, but there also may be something more nefarious going on. It sometimes starts by asking the bank to act as trustee for various interacting trust accounts. The consequences of directly or indirectly assisting customers in avoiding tax obligations can be large and nasty, even if the bank does not understand that the structure is illegal. To be sure, tax laws allow many different legal and appropriate vehicles for passing assets to beneficiaries or to non-profit organizations to defer or avoid estate tax, capital gains tax and other taxes. The good news is that most trust officers know these vehicles very well. It is when customers move outside these established boundaries that risks increase exponentially. The IRS calls these tactics Abusive Tax Shelters and the misuse of trusts is one of several methods employed by tax evaders. Worse still, small business owners are attractive targets for advisors peddling such schemes, because the person who has spent a lifetime running the hardware store may not fully understand the possible ramifications of implementing such a strategy. There are many different sorts of tax scams out there that seem to surface around the tax filing season, so stay in touch with your good business customers. Our advice is to remind them to tread carefully if they are considering a complex tax strategy, as it may be too good to be true. Especially at risk are those who may be considering a transition of a business or other assets to the next generation, as they are often targets. Even if your bank doesn't have a trust department, chances are you know responsible attorneys and accountants that would advise business owners correctly. It's pretty difficult to find anyone who enjoys paying taxes, but for a bank to aid clients is something different. Beyond the legal ramifications, banks can suffer enormous reputational damage. While the biggest banks seem to recover from even the largest offenses, the impact to a community bank for mistakes around tax season could be serious and long-lasting, so wave the warning flag now to alert your customers. Treasury yields rose 2bps on growing expectations that the Fed could alter its language in its next policy statement to indicate a possible rate increase. Yields are unchanged this morning ahead of PPI and Housing Starts. A survey of CFOs at major companies worldwide by Deloitte finds high confidence in the North American economy (63% said it was good or very good) and most also said they expected economic conditions will be even better a year from now (63%). The OCC updated their handbook for examiners around unsecured credit products related to deposit accounts. The 51 page update focuses on check credit (granting of unsecured revolving lines of credit to individuals or businesses), overdraft protection services and deposit advance products. Bankers actively engaged in these areas should read the update as it is informative and may shed light on potential areas of increased risk. In a recent speech Doreen Eberley (the FDIC Director of the Division or Risk Management Supervision) said community banks represent 93% of all banks in the US, hold 14% of banking assets and account for about 45% of all small loans to businesses and farms originated by banks. She also said the examination interval should be extended to 18 months for well run and well rated banks with total assets of less than $500mm. The OCC updated their handbook for examiners around fiduciary products and services. This 80 page update focuses on bank activities around investment management services, acting as trustee, or where there are various degrees of responsibility for an individual's or a family's assets. These services, also known as private wealth management, private client services or private banking are fiduciary so have a more specific responsibility layer. The Senior Deputy Comptroller for the OCC said in a recent speech that the regulatory agency tailors supervision of community banks to that bank's individual risk profile, business model and management strategies. He also pointed out the OCC offers bankers a tool on their website to develop customized peer reports to compare balance sheet and financial performance ratios to other banks.